A little surprise, We are going to release v.4.0 with a huge list of features. Note: The API compatibility will be maintained so all your plugins from v.3x will work without issues. Release Date: To be announced soon. 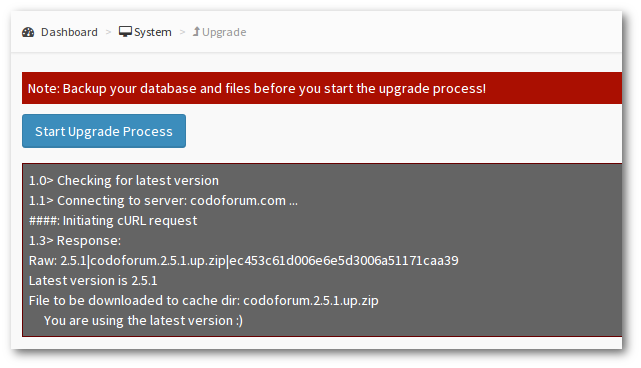 We are very happy to announce the release of a new version of Codoforum. Many of the bugs that were found in V3.1 have been fixed and some interesting new features are added in this release. One of the most important feature in this new release is our smart spam filter which is based on machine learning. Our primary focus for this release was the permission system. The mobile menu that used to drag from the top has been replaced with a beautiful slide in menu that offscreens content when opened for better focus on the menu. Its been almost a month since our last release. Our primary focus for this release was usability, UI & performance. One of the most difficult things in managing your community is upgrading the forum software which can sometimes turn out to be a nightmare with the smallest mistakes. In my last article, we saw how to manage your forum, now concentrating more on the forums niche, we will see more articles regarding things that will help you create an effective forum. Our primary focus for this release was bug fixes and SEO improvements. Forums are the new status symbols and are in trend now-a-days in the world of internet savvy users, The web is quite literally littered with forums but mostly the forum owners are those people who are just starting to feel their way into this mystique and divine and at times ruthless world of internet, hence the result is that quite often we see forums starting off like a bazooka and soon tapering off like a water balloon projectile. In this article we will cover how a traditional forum software works and see how codoforum is diffrent from it. According to Wikipedia, An message board or an Internet forum is an online site for discussions where people can have group conversations by posting messages in the form of text or various other media. Various forum softwares can be used for this purpose. They differ from chat rooms in a way that message content is usully more longer than one line of text, and are permanently archived in most cases. Also, depending on the access level of a user or the way the forum software set-up, a posted message might need to be approved by an administrator or moderator before it becomes available to the public. We have added BBCode parser support inside the Codoforum importer . Now you can import posts from other forums that use BBCode for parsing . Our primary focus in this version was extensibility . 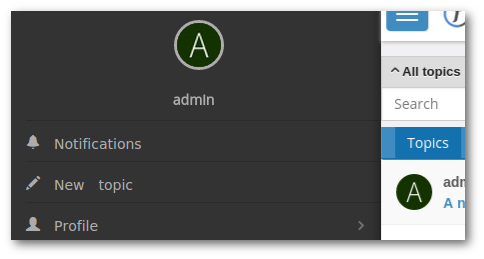 Codoforum now supports child themes and a very powerful block system . Codoforum now shows all new topics created , with a label marked as "new" . It also counts number of new replies made to a particular topic . Although, V1.3 was released in between these two weeks, it was mainly a bug-fix release with some performance improvements but did not include any new features . The concept of reputation in the world of forum first started with member ranks which was based on number of points earned by them . They were given member title, badges or awards based on these reputation points . We thought that this reputation system should also be applicable to the content posted by the users . Although the system of vote up / vote down exists this does not completely describe the reputation of a post . After completing the basic features of a forum, we are now moving on to add some advanced features. One of them is our new search feature . Remember the old forum days, when you had to attach images with each post. you have the ability to either select or simply drag and drop multiple images within your post. After uploading the image, you may set the image title directly by editing the markdown. stay tuned for more interesting updates. Hello everyone, we are on a mission, a mission to build the most awesome PHP based forum script. There are hundreds if not thousands of forums already available, each of them having their own unique set of features. a forum which gives importance to the end user and his experience. a forum which will help build a community and enhance engagement. a forum which gives importance to content rather than structure and statistics.